Washington D.C. is one of the most interesting places to visit. The entire city is always abuzz with life. Exploring all the interesting sites, museums and monuments can be intense. So intense, that you’re bound to get tired and hungry. One of the greatest perks about D.C. is the many diverse areas that scatter the city. There’s always something to see, somewhere to visit, and especially somewhere to eat. But, D.C. has thousands upon thousands of restaurants to pick from and time is precious. It can be hard to pick the right place to grab a bite, and especially hard to figure out where it is. So, we’re gonna help you. As professional food explorers in D.C. and frequent travelers, we’ll help you find the perfect meal close to where you’re staying (or at least close to the metro). From fancy and creative meals to cozy neighborhood favorites, we made a list of some of our absolute favorite restaurants in D.C. All we ask is you invite us out to eat, because writing this made me incredibly hungry. 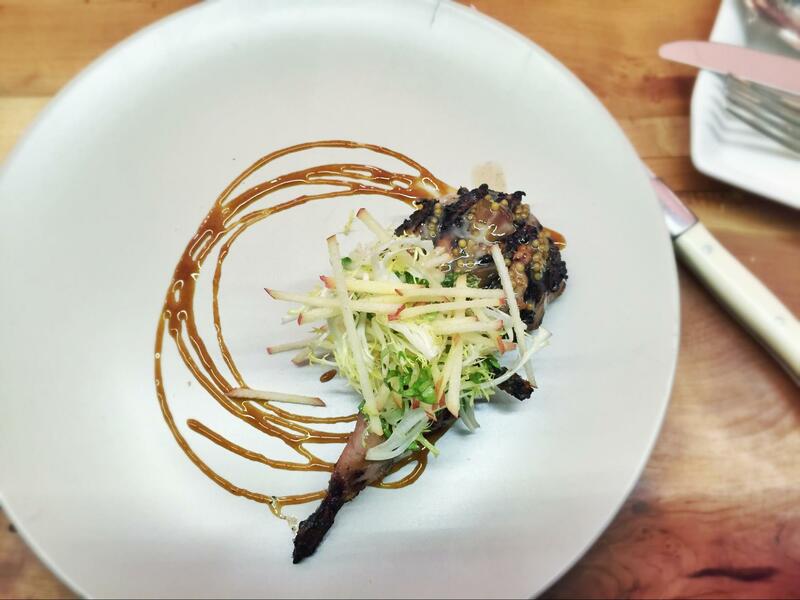 “Incredibly creative” is probably the best way to describe Momofuku. The restaurant is situated right in the heart of Downtown D.C., and the minute you walk in you see a crowd of happy guests and some of the most interesting and unusual food. The theme is an upscale and unique twist on Korean favorites like pork belly, ramen, and fried chicken, as well as other interesting combinations of Korean and Japanese foods. The best way to eat at Momofuku is to get a bit of everything and share! Sharing IS caring. Plus, that’s how Koreans usually eat meals, and it’s a ton of fun. Founding Farmers takes the farm to table very seriously. They also take farmer portion sizes very seriously, and it’s amazing. The first time I came here was for brunch after a long day of visiting the museums at the National Mall. Ever since then, I couldn’t stop thinking about the enormous Chicken & Waffles. They only cost $12, and the serving is enough to feed a small family. Unless you don’t feel like sharing, which I wouldn’t blame you. Founding Farmers does American comfort food in a mildly fancy and enormous way. If you have a big appetite, this is definitely the place to eat in D.C.
D.C. is known for its fancy and high-class restaurants. This isn’t a fancy or high-class restaurant. 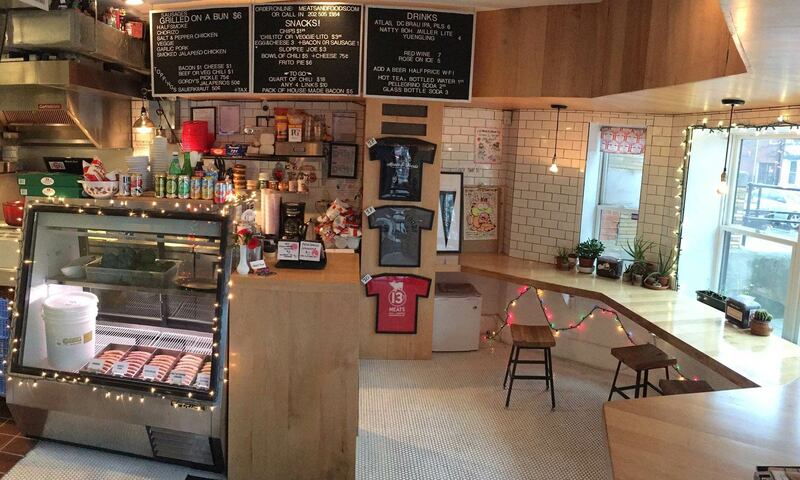 Meats and Foods is literally a neighborhood joint that prides itself on making tasty, cheap food. 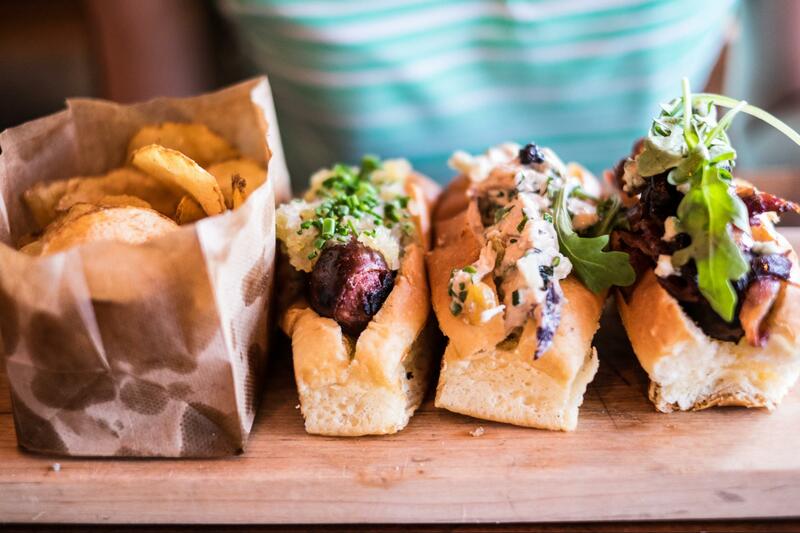 But don’t be fooled, Meats and Foods is a huge favorite amongst all D.C. locals. Their homemade chorizo sausage has a major spice kick to it, and it’s fantastic. You can spend less than $10 here for a great lunch, and it’s great for anyone who wants a good homemade sausage. It really is the friendly neighborhood deli everyone wants. Ever since they first opened, Rose’s Luxury has been a huge success in D.C. for their creative and tasty food. Tapas style small plates with unique cultural twists and interesting ingredients bring us back every time to taste their new creations. Not only that, but the people who work there are really, truly good people. The restaurant donates to help feed hungry children every time they serve a meal. Since their opening in 2016, they’ve already donated nearly $40,000! As a side note, they don’t take reservations. So be sure to get there a little before they open the doors to get seated sooner. Otherwise, they’ll take down your contact information and send you a text when your table’s ready. Can you guess what they serve at SUNdeVICH? Say it slowly… it kind of sounds like sandwich right? 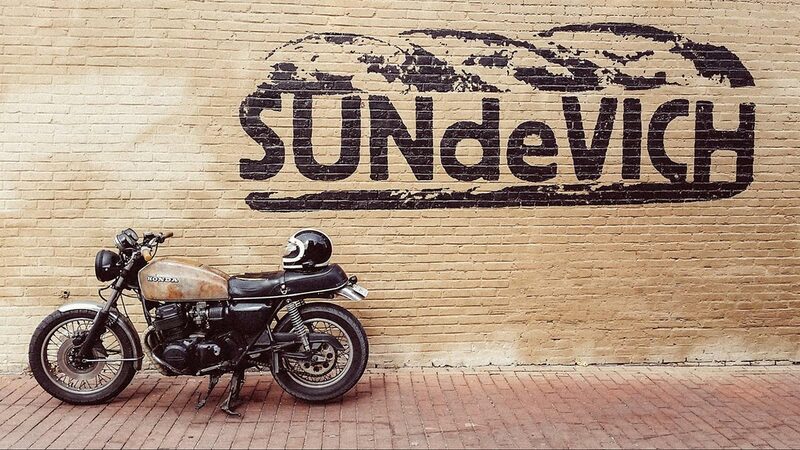 SUNdeVICH has made a name for themselves for making some of the best sandwiches in D.C. Each sandwich they make is represented by a different international city and their iconic ingredients. From Buenos Aires to Seoul, there are tons of interesting varieties. Speaking of which, the Buenos Aires and the Seoul sandwiches are my personal favorites. Here is a bonus one. I know I said that this was a list of five places to eat, but every time I go to D.C., I could never forgive myself if I don’t go to Iron Age Korean BBQ. Plus, this restaurant is actually technically in Rockville, Maryland (although the DC metro lines actually run there). So, if anything I wanted to give this place an honorable mention, and if you don’t mind taking a metro (here are some good hotels close to the metro) or driving to Rockville, I highly suggest stopping by. Finding good Korean BBQ is pretty difficult in America (unless you’re in L.A.), and the best thing about Iron Age, besides the great food, is that it’s all you can eat! For about $20 per person, you can eat as much as you want among 20 different varieties of marinades, cuts, and meats. Plus, they offer free soft serve ice cream, which is always a plus. I’m Kate Howard, a school teacher, mom of one, and all around busy person! My husband and I run HotelsNearDCMetro.com, a site dedicated to giving genuine, local advice for those traveling to DC.